We spent all of yesterday from Dr visits to end up in the ER at Children’s hospital. My 9 month old is really sick. After urine samples and blood work to rule out meningitis, he has a virus, and ear infection and a tiny blister in his throat. So sad. We are spending the day in bed and reading is always good in bed. 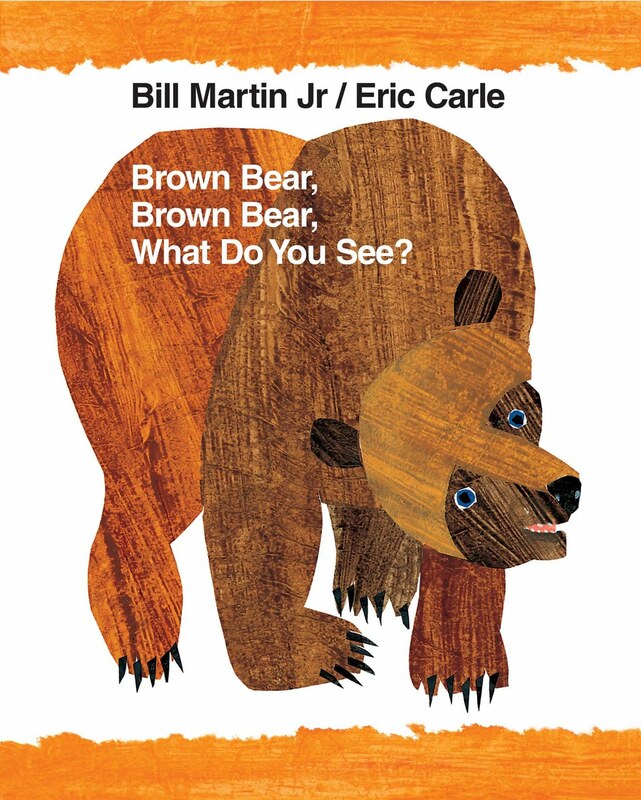 Brown Bear is a classic. Right now it’s on my two year olds top 2 list. He is very proud that he has it memorized and loves to read it over and over. 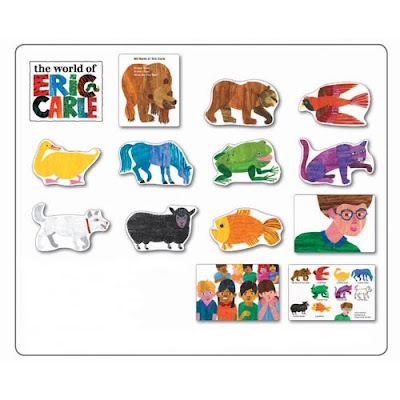 Eric Carle, what book isn’t a classic by him, we love all that he does. 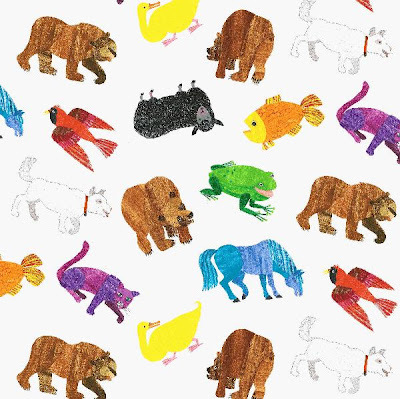 Brown Bear especially works on colors , animal, and repetitiveness, great things for developing young minds.If you haven’t started working on colors yet, this will be sure to spark interest. We are on our second copy and it’s already looking a little worn. My heart warms when my two year old (still a baby himself) reads to the baby and they both lay there, it’s magic times. AWW! Hope your little guy feels better soon! 🙁 So sad when they're sick. 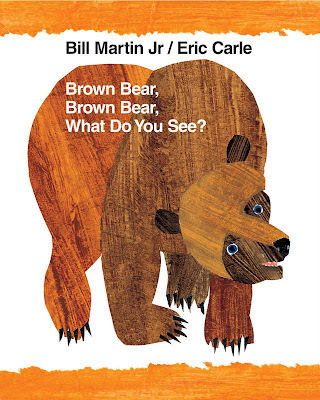 We like Brown Bear too, btw. hope he feels better soon! hugs to the lil' man… we are carle fans too. love the illos and the books!